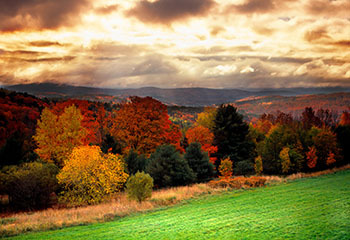 Norwich, Vermont is a quintessential New England town located just across the river from Hanover, New Hampshire. The town is popular among commuters and offers easy access to Dartmouth College, Dartmouth Hitchcock Medical Center, and the towns of Hanover, Concord, and Burlington. The Dresden School District has an excellent public education program for students living in Norwich and Hanover. The Montshire Museum of Science is a popular attraction featuring 150 indoor and outdoor rotating exhibits on 110 acres. You’ll find over 100 local vendors from the surrounding counties at the Norwich Farmers Market and it's open most of the year. There are plenty of hiking and cross country skiing trails to enjoy. Recreational programs in the community include mountain biking, lacrosse, baseball, and tennis. The area has a vibrant downtown and is home to many local businesses and nonprofit organizations. Norwich has some of the state’s wealthiest residents, so you’ll find a wonderful collection of beautiful homes, estates, luxury condos, and land.